"English Grammar in Use" with answers and grammar reference pocket guide. A self-study reference and practice book for intermediate students. 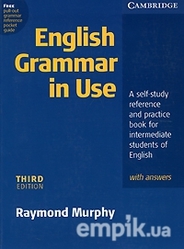 "English Grammar in Use" is a fully updated version of the classic grammar title. Формат: 19,5 см x 26,5 см.